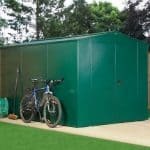 This 6 x 3 metal storage shed is a very smart looking building, and it should prove to be a lovely and attractive addition to your garden furniture. 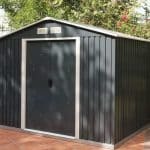 It has been built to be sturdy and tough, and the steel interior helps to make this happen. 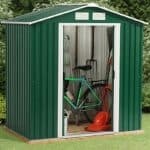 With an apex roof, the shed also enables you to store tools that are longer and more bulky. 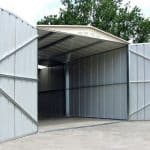 The manufacturer has recognised the commitment it needs to make, and has provided a 25 year guarantee for the unit. 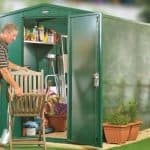 Spacious and very practical, this is a unit that belongs in every garden.